I have written in the past about my desire to find a milk other than soy to make coffee with. 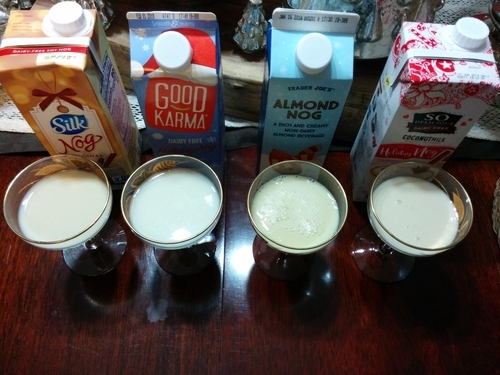 I would go each time through rice, almond, hazelnut and others only to fall back to the reliable soy after finding each was either too watery or just wouldn’t foam, some even tasted bad. After seeing Silk PureAlmond I thought I should give it a try. 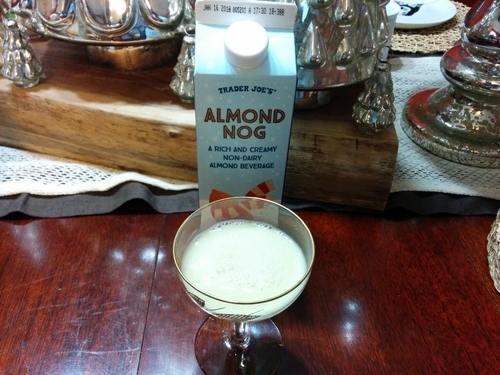 I had tried Almond Breeze, both aseptic and refrigerated, but was put off by the strong after-bite. 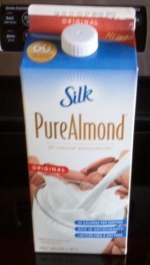 As far as I know Silk PureAlmond is only the second refrigerated almond milk variety. 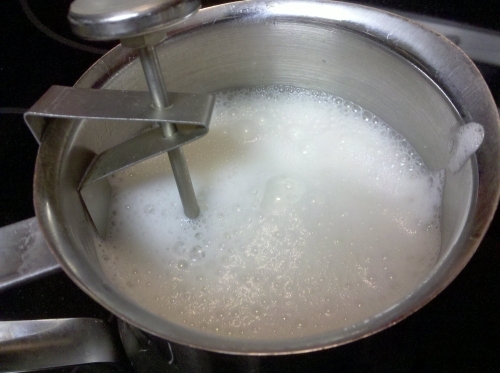 A good coffee milk should always hold up first to steaming. 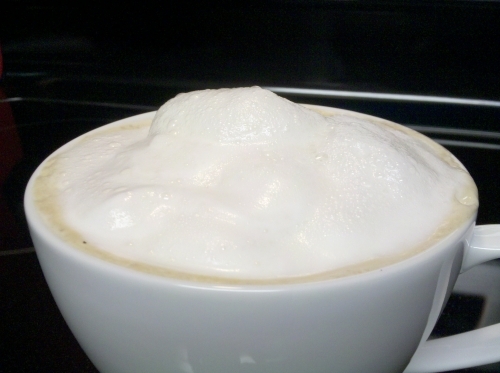 A nice foam never hurts and this is where most of the milk options I have tried failed. 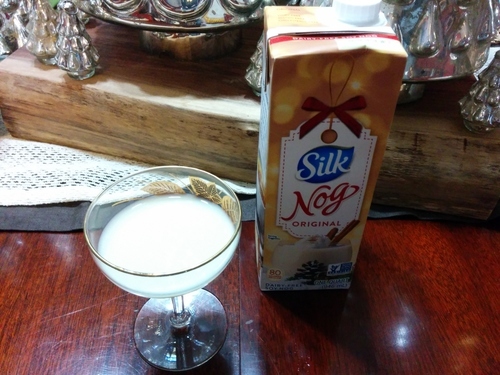 Silk PureAlmond worked very well, surprising actually as I have never managed a good foam with almond milk. The foam was as good as soy milk. 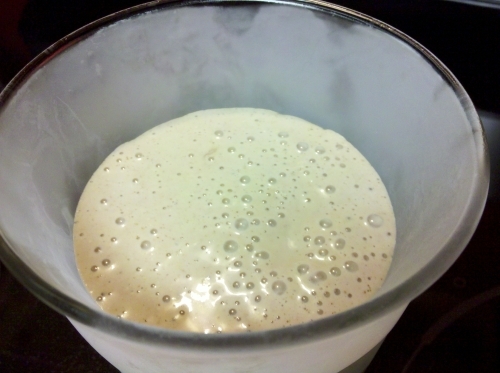 The milk is thicker than other almond milks which lends to the foaming ability. Taste is most important and the flavor held up well to the espresso I use. No overbearing taste to mask the coffee. Most important there is no afterbite like all other almond milks I have tried. I doubt I will give up soy milk completely for almond milk but finding a new option that tastes good and actually works well for coffee is always welcome. 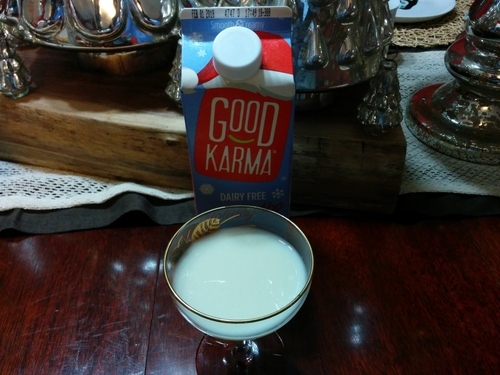 My month-long soy free journey is nearly at an end. As I have stated in past posts, I have felt no change, in energy or weight loss, during this time. So many pieces of research I have read before and during this trial has stated that there is a direct link with soy and the thyroid and a significant decrease in soy intake will result in heightened energy levels and potential weight loss. I have read studies indicating consumption of soy in relation to memory loss and concentration issues. All of those have not proven themselves during this test and so, from my standpoint, are bunk. During this time not only have I given up the more wholesome soy in its unrefined form but I took out of my diet the processed soy you find in just about every snack food. 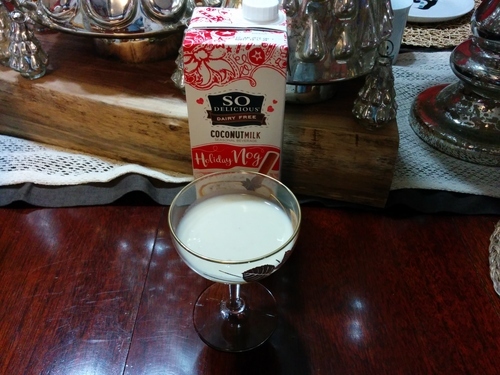 I have had visitors to the blog since I started this project who are vegan and allergic to soy. To me that’s willpower. Being allergic and unable to consume soy but then taking it one step further and deciding to be vegan for whatever reason, that takes willpower! Eating out was limited for the past month. Most items contain some soy additive and sometimes, even with known vegan stuff, you just don’t know if it has soy or not so it was better to abstain. I did some deep checking into some places and found an item here or there. One thing I managed to find out was soy free was the sweet & sour at Pei Wei. I had assumed eating anything Asian would be out during this time and considered myself lucky on this one. 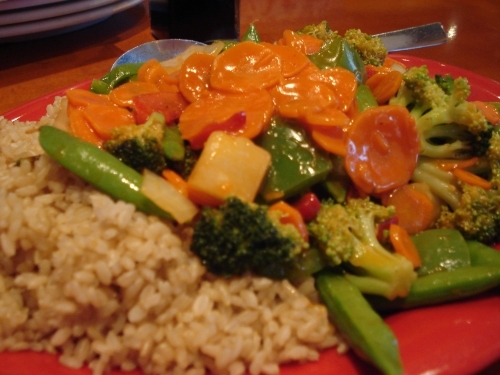 Sweet & Sour vegetables with rice fit nicely and I managed to get a plate piled with fresh veggies and a tasty sauce that hit the spot. A trip to Atlanta left out most of our favorite eateries except for Eats. You can’t find soy in the pesto or a big veggie plate and you can’t go wrong at Eats! After this is over I’ll be going back to soy. Of all the things I missed I think the soy milk in my coffee would be the first to come to mind. As I said before I didn’t notice any changes during this time. Maybe after the upcoming holidays I’ll do this again and have some bloodwork done before and after just to benefit those in doubt. I’ve made it through one month, I can do it again. Willpower! I am at the end of my first week of reading labels more extensively than I ever have as a vegan. The soy industry has a firm grip on every aspect of our food supply, and nowhere is this more evident than in processed foods. Soy protein isolate, soybean oil, soy lecithin – all components of just about every processed food you pick up. Although some processed foods don’t contain soy, the fact is most do and the only way to truly avoid it is to eat whole foods. Fresh vegetables, fruits, grains and nuts, which are indeed the best foods for your body, are also the only road to getting zero soy. With that said, I have not been eating only whole foods. I have found a processed food here or there without soy. Our garden is still producing tomatoes, cucumbers and okra. I picked a small amount of pinto beans last week. These items typically give me a good lunch but I get lazy in the evenings, the time I really shouldn’t. The milks I have been trying, which I have spouted about over the last two posts, have been narrowed down to hazelnut. I have tried a few over the past week. Almond: too much of a bite. Rice: too watery. Oat: grainy, gritty, liquid paper. Hemp: powdery, not as bad as oat. Drinkable but far too expensive. Hazelnut tastes light enough, doesn’t have a bad aftertaste and isn’t too expensive. 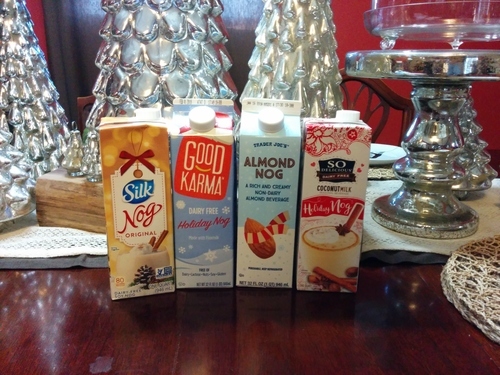 I spend the most time on the milk subject because I drink a lot of it. I use it extensively in my coffee and in my cooking. I have read many articles about soy interfering with thyroid activity. I haven’t noticed a difference in my energy levels or any weight fluctuations since starting this plan but this is only the first week. Those differences, should they come, would be expected later on, possibly near the end.